By all accounts, Baker Mayfield is having a fine training camp so far for the Cleveland Browns. It’s about what you would expect from a Heisman Trophy winner who went No. 1 overall in the 2018 NFL Draft. 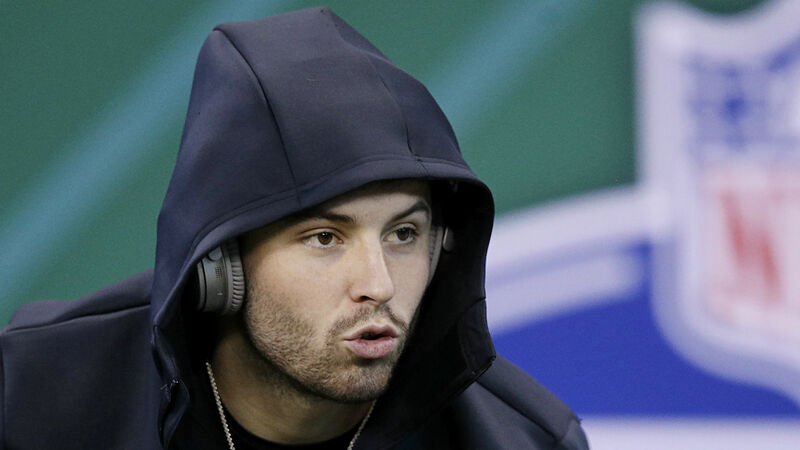 While Browns coach Hue Jackson says Mayfield is “exceeding” his expectations, the one aspect he seems most surprised about is Mayfield’s humility and attitude. Mayfield is the backup QB behind former Bills starter Tyrod Taylor for now, and the two have bonded in camp. ESPN’s Dianna Russini reported the two QBs have even parked an RV at training camp they use as a “top secret clubhouse” for quarterbacks (veteran Drew Stanton is also invited). The former Oklahoma star was known for his cocky attitude in the college ranks, but Jackson says he’s seen a different side of Mayfield after four days of camp.